DASNY President & CEO Gerrard P. Bushell, Ph.D. The budget signed by Governor Andrew M. Cuomo this month created a DASNY subsidiary called the New York State Design and Construction Corporation that will maximize the Governor’s record $100 billion investment in infrastructure and development. DASNY is working with its State partners to define the DCC’s structure around the framework established by the enacted legislation. According to the legislation, the DCC has two primary purposes. The first is to provide additional project management expertise, monitoring and oversight for State construction projects valued at more than $50 million. The second is to provide a means to identify and implement improvements on these projects. The DCC will be governed by a three-member board appointed by the Governor and will work with State entity project owners to identify and address obstacles, delivering projects on time, on budget and with the quality New Yorkers deserve. The DCC is an unprecedented opportunity for infrastructure professionals to craft a best practices approach to deliver large capital projects while protecting New York taxpayers. The DCC is one of Governor Cuomo’s tools for efficiently and effectively delivering his extensive infrastructure and development investments. 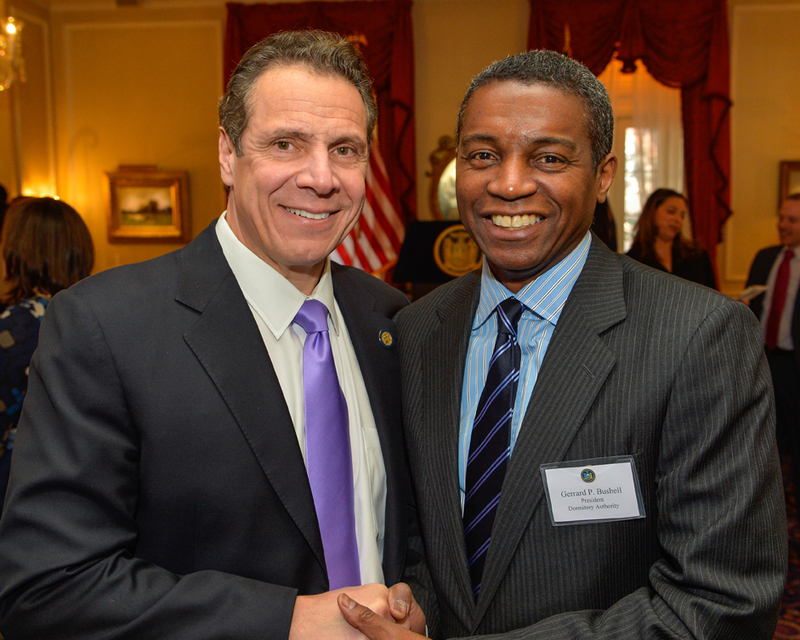 Governor Cuomo’s statewide strategy is more than fixing potholes and repairing bridges. It brings the large-scale, long-term investment New York needs to make its infrastructure networks resilient, robust and give New York a competitive advantage in the global economy. and a $1 billion expansion of the filled-to-capacity Jacob K. Javits Convention Center. For the Penn Station and Javits Center projects, the Governor is using design-build to inject private-sector entrepreneurialism and focus into project delivery. The combination of the DCC, design-build and other project delivery tools will benefit all New Yorkers. Columbia University issued $50 million in Green Bonds through DASNY to fund construction of the Jerome L. Greene Science Center on the University’s Manhattanville campus. The Green Bonds provide investors with the opportunity to directly support projects that Columbia University has identified as environmentally sustainable. The University is planning to pursue Leadership in Energy and Environmental Design (LEED) certification from the U.S. Green Building Council for the Science Center. DASNY sold low-interest, tax-exempt bonds on behalf of Columbia University. "Columbia is proud to add Green Bond issuance to its already broad commitment to sustainability activities, from research to operations," said Anne Sullivan, Executive Vice President of Finance and IT for the University. "DASNY is a long-time partner and this offering is both timely and a reflection of the ongoing public concern for the environment." The nine-story, 450,000 square-foot Jerome L. Greene Science Center will house the Mortimer B. Zuckerman Mind Brain Behavior Institute. For more details on the project see this press release from Governor Andrew M. Cuomo. The Science Center will sit on the Manhattanville campus, which has already earned LEED Neighborhood Development Platinum, the U.S. Green Building Council’s highest designation and the first project to receive it in New York City. The Green Bonds were part of a larger $389.7 million issuance to finance additional projects throughout the University system and applied to the refunding of DASNY’s Columbia University Series 2006A and 2006B Bonds. DASNY is participating in the National Safety Stand-Down May 2-6. The Occupational Safety and Health Administration (OSHA) has focused this year’s Stand-Down on “fall hazards” to reinforce the importance of preventing falls. DASNY is committed to addressing the 29 percent of all 2015 site safety recommendations associated with fall hazards, including those addressing fall protection, perimeter protection and scaffolding.